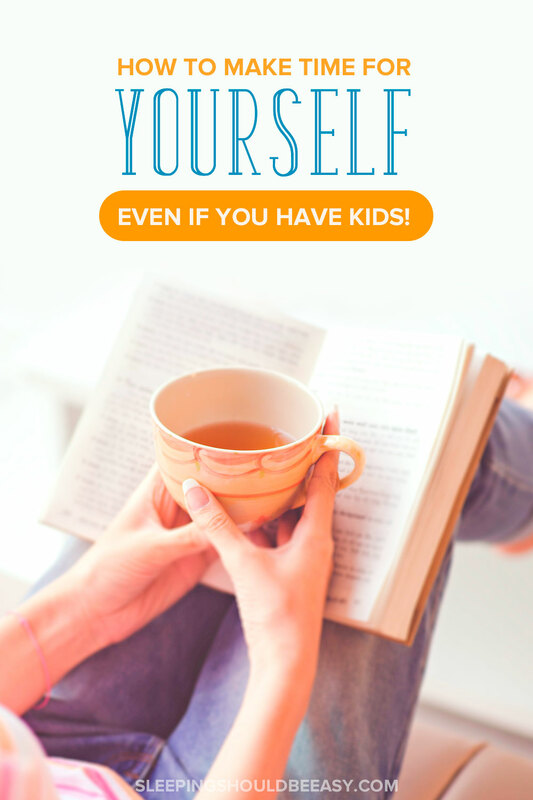 Not sure how to make time for yourself with children? 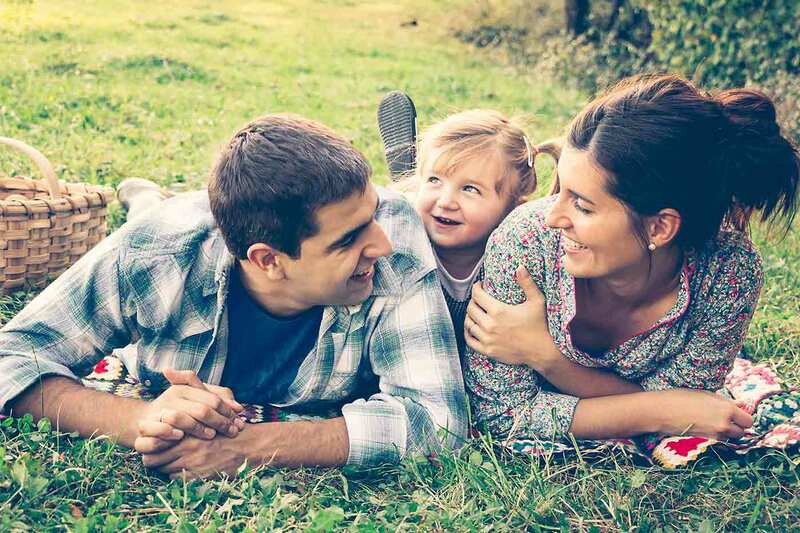 Check out these practical tips on how to make time for yourself even with kids. Moms, we spend all our time working, caring for kids and cleaning our homes. On evenings and weekends, we feel bad not spending time with the kids and devoting those hours to them. And we wonder how to make time for ourselves for exercise or hobbies. We hear how others—even those with kids—pursue hobbies and go out. We see photos of their outings on Facebook—and it doesn’t seem possible. Many of us have heard the common advice to have a life outside the kids but have no idea how to do just that. Your schedule may not allow any opportunities, and life seems like one big “blah” of a day. Maybe you’re wondering how to find time when you have a baby. So… maybe you were once an avid wine taster. Or a hiking fanatic. Or you’d hit the waves on your surfboard. As a mom, there’s not much opportunity for that. Consider finding or rekindling a hobby you enjoy that you can do at home instead. Maybe that’s playing a musical instrument, reading, or gardening. Adjust a hobby into something you can do at home, such as exercising instead of going to the gym like you used to. Sit in a coffee shop for impromptu writing or journal writing. 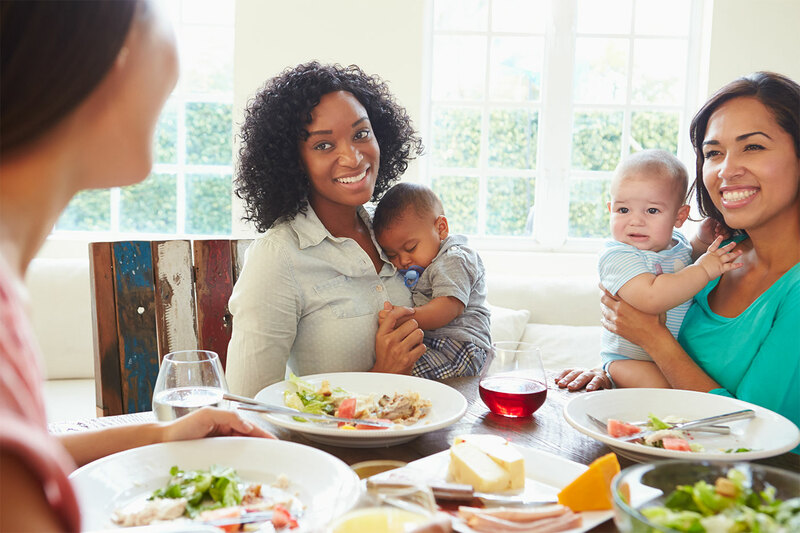 Other moms use that time to exercise or have lunch with friends and coworkers. Still others find a library to sit and read. The hours after 8pm are my ‘me’ hours. With the kids tucked in bed, I can blog (hi! ), read, watch movies and hang out with my husband. An 8:30pm dinner date with a friend seems exhausting. You know you’re going to get home late. You know your kids won’t sleep in the next morning. But friendships are important enough to mark your commitments on a calendar. This doesn’t mean it has to happen frequently, either. Once in a while hang outs are sometimes all we need or are able to do. My family and I love downtime weekends with nothing to do but go to the farmers market and the park. We also use weekends for family fun. We visit family, go to the beach, hike, and check out seasonal events like pumpkin patches. Feel bad for stepping away from the kids to hang out with friends? Invite your friends and their kids for a play date! I love the dynamic of having play dates with friends of your own. There’s less awkwardness or getting-to-know-you shenanigans that sometimes come up in mommy groups. Play dates and mommy groups can be a fantastic way to spend time with your kids AND make friends. But your life doesn’t have to be completely devoid of everything you used to enjoy before becoming a mom. You just need to learn how to accommodate kids. Walk around an easier trail with the kids instead of hiking in the canyons. Or visit your favorite museums, but just for an hour or two. For some, a clean home is their only sanity, and if that’s the case, then tend to your home. But don’t feel like you have to clean if having a life outside of kids is a priority for you. I’ve pretty much accepted that my home won’t be sparkling clean the way it used to be, and I’m okay with that. I’d rather not deal with the stress. Some kids rely on their parents for constant entertainment. 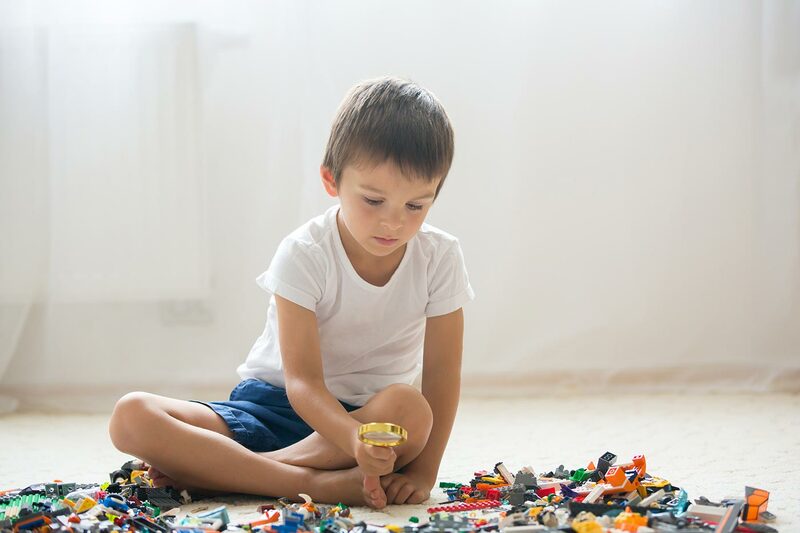 Help your child play more independently by himself. 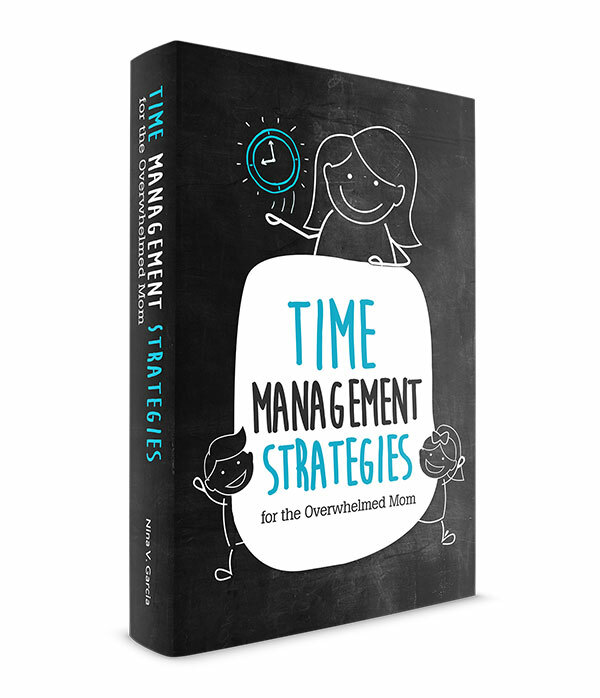 This gives you the time to tend to tasks that would otherwise occupy your remaining free time. Read what to do when your baby needs to be entertained all the time. Taking older kids around is much easier than doing the same with younger ones. Older kids are more independent, can last longer in the day and don’t need their parents as much. Trying to make time for yourself with a young infant is a difficult task that should ease up as the months go by. Especially if he breastfeeds, naps many times and doesn’t sleep through the night. To think that life can remain the same with kids in the picture is unrealistic. Life changes with kids. For many of us, becoming parents is the single biggest change we’ll face. Accept it, work with it, but remember that this is a new role you now have. Here’s something I want to leave you with: you have to believe that you can make the time for yourself. Have you met busy people? They’re the ones who have so much to do, but all that extra work still leaves them just as busy as they started off. People get stuck with busyness. 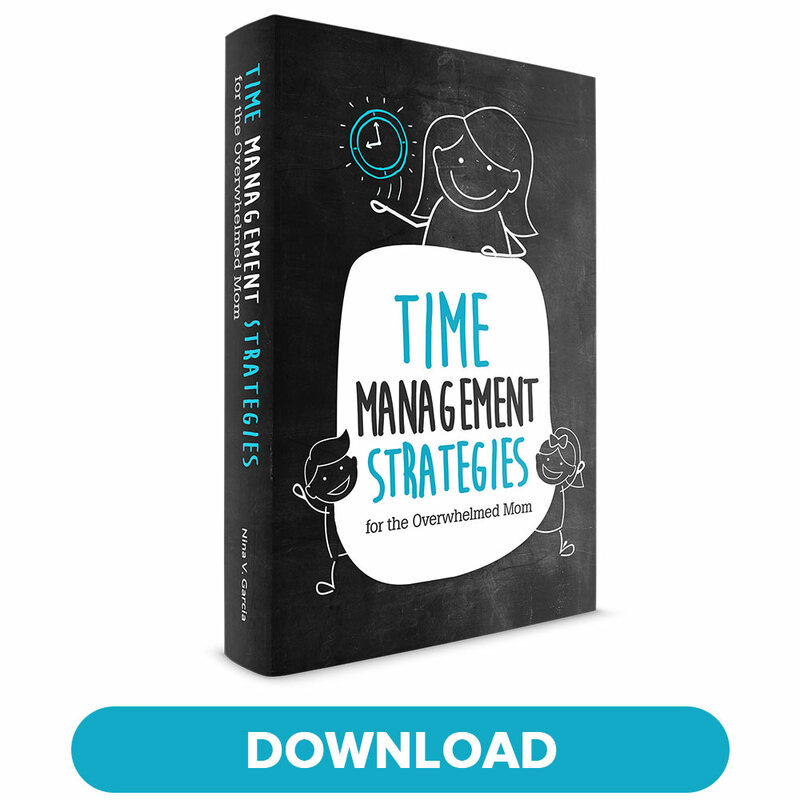 No time management tools, apps or motivation can get them out of their rut. Being a mom is busy, I get it. But we can’t let ourselves believe that having no life is our lot for the rest of our years. It won’t be the same as not having kids, and it’ll change with time. But in the middle of a busy day, we can still catch a glimmer of joy and contentment, a bit of ‘me time’ even as a mom. Tell me in the comments: What are your tips on how to make time for yourself? I’ve never been very good at doing that since I’ve become a parent. I really do love the weekend time with family, but of course, alone time is key. Luckily I utilize the time in which my husband is at work, and both kids are at school to at least do one thing fun a day or so, in between working and picking them up! Tamara that’s awesome you have a moment to yourself! I don’t have that at all (other than in the evenings when all the kids are asleep, at least). My best friend and I both work full time and have husband’s doing shift work. It doesn’t leave a lot of time for just the two of us to get together. One night we were texting and realized that the kids were asleep and both husbands were home. We jumped in the care and headed out to a restaurant for a gooey chocolate dessert together! It was so fun and it felt fabulous to be able to just run out for an hour and talk to each other. Even though we were both yawning, it was an amazing experience! Blogging has become my “me” time – especially during the winter months. But now that the temperatures are warming up, I’m able to include the kids in things that I love to do too, like gardening and taking walks around the neighborhood. It can be really difficult to find time to be social when you’re balancing kids, work and home. I know women who do it better than I, but we all have different priorities and different needs to stay ‘sane’. Blogging is totally my ‘me’ time too, Leslie! As far as my friends, for one thing, I don’t have too many super close friends, so I’m definitely not out every weekend, either. And about half my friends live far away, so even if I wanted to, I simply can’t hang out with them often. And I don’t really mind. We’ve all been so busy and have different priorities now, that when we do catch up, it still feels nice and doesn’t feel like we haven’t seen each other in forever. This is a great post. The age issue is really big. Our life definitely stays busy as our kids get older. But as they grow they are able to do so much more without my constant supervision and help. Now weekends are still busy, but I’m able to cook while they take a bath or check on emails while they do homework. As this has happened, I find my capacity to do more of my own interests is easier to fit into our family life. Thanks, Ali 🙂 My eldest isn’t as old as your twins yet, but I agree—I find that age makes a huge difference. Even as my toddler twins grow, I notice they’re much more independent now than before. And the difference between a five-year-old and a two-year-old is noticeable. I’m able to get things done or go out or find time for myself much more with the five-year-old around than with the twins. I read whenever I can – that’s my favorite hobby. I’ll do it while I walk the dog or use the elliptical, so I’m getting two things done at once. I don’t have much trouble finding me time with two teenagers, but I remember when it used to be much harder. I’m lucky that my gym keeps childcare staff on SEVEN HOURS a day. Seven! I can hand them over for a mental health break and hop on the machines for a physical health break while I’m at it. If I’m on top of things, I’ll have downloaded an audiobook and it’s an hour of bliss. Or…is that too much like multitasking? Am I defeating the purpose here? Haha you know what though Courtney, there’s no way I can get on a treadmill without music or something to listen to. You’re all good! This is good! Really. I’m so happy to say that I consistenly have and find time alone for myself only. It helps that my husband is staying at home too. We actually just take turns. I don’t mind if he spends time playing video games outside alone or with his friends as long as I’m home to watch after my son. It really helps to have a great support from your loved ones too because like what you said, life with kids is really different. I’ve also read from a website that being busy is different from being productive and I truly believe in it. I’ve always thought the ideal working situation is when both parents work from home or have their own hours. The flexibility must be awesome! You guys are able to pursue your own hobbies and take turns. I love your comment about being busy too. I don’t take it as a good thing when people say they’re busy—it just seems like they don’t have the skills to get everything done haha. I like productive! These are great tips! I have started running around my neighborhood and going on my treadmill. Driving to and from the gym took me almost a half an hour so I didn’t really feel like it was efficient. I like going to the beach because the kids will dig in the sand for awhile and my husband and I can just relax. That was actually one of the biggest reasons I dropped the gym. I’d DRIVE to the gym which seemed silly, just to work out for half an hour then come home. Now I like to walk to the park and workout at home. And yes, the beach is awesome! All very good and practical tips. You could seriously write a book with all of your knowledge. Seriously. I have definitely made it priority, like you said, and found things to do at home (reading, blogging) and things that involve my kids (practicing photography on them, hehe). The best thing that has happened lately is me cutting back on blogging, or at least feeling guilty if I don’t blog. My evenings are free for reading or just doing nothing. I love it. I really enjoy a being a parent more now than when I wasn’t taking time for myself. I think it’s awesome you were so intentional about cutting back on blogging. When you know what stresses you, it’s much easier to let go when you know you’re not ‘supposed to’ be doing it. I have to stop blogging at 9:30pm (ideally 9pm) to feel balanced, and I think I might cut back more because I haven’t worked out in forever, plus I want to make sure I read before going to bed every night. So glad to hear that all is going smoothly with parenting. Goes to show how taking care of mom is much better for the kids than if we’re all frazzled. Teaching your kids to be more independent is a big one! As well as carving out time specifically marked for a specific activity. I stay at home with my one-year-old son. However, since I’m approaching blogging as a business, the lines between work and home life are incredibly blurred. This leaves me feeling like I never have time for anything because I am always multi-tasking. I’m definitely a work in progress on this one. I can imagine, JoAnn! We can only do so much after a while. I literally have to stop myself blogging at a certain time because otherwise I can go on and on with this thing haha. I loved playdates, if only because it gave me adult conversation. They were a bit of a lifeline. I also took up guitar, which I could practice after the kids were in bed. That’s an awesome hobby Seana—one my husband continues to do til now (literally speaking haha). So true! Someone recently asked me, “What do you enjoy doing in your free time?” I was totally tongue tied. My mind became entangled in thoughts of “what is free time,” “do I have free time,” “what do I like to do,” “do I do anything”. This was a wake-up call. I realized that I was losing myself in motherhood. I thought, how can I pass on my passions if I lose them along the way?! Thank you for this valuable share! “How can I pass on my passions if I lose them along the way?” That’s such a great question to ask! For me it’s not so much about trying to get the kids to follow my passion as it is them seeing me have passions and hobbies and know that they can and should as well.